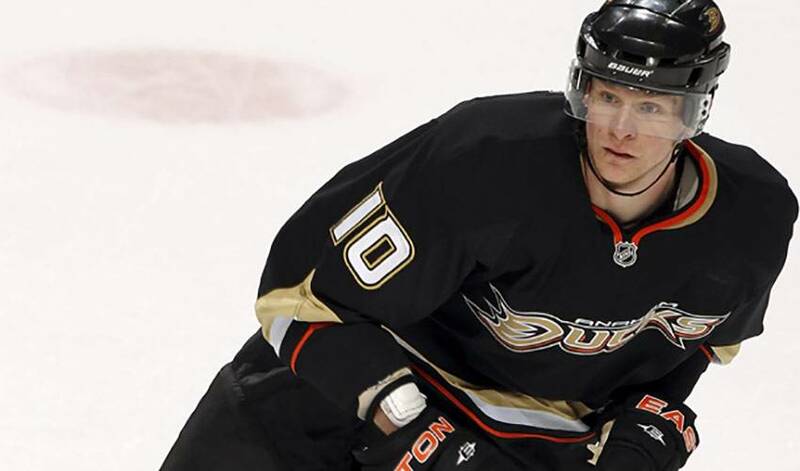 For a rookie, Corey Perry was the ideal teammate to learn from, a player that thrived as an individual, yet only cared about team success, but definitely deserving of being a Ted Lindsay Award finalist. In his first National Hockey League campaign, Cam Fowler, selected 12th overall by the Anaheim Ducks in 2010, was eager to watch and learn from the players he lined up beside. Although he had watched him play and knew his reputation as one of the game's elite offensive stars, it didn't take the 19-year-old Fowler long to realize just how good of a player Perry is. And it certainly didn't take Fowler by surprise when Perry, along with Daniel Sedin and Steven Stamkos, found himself on the short-list for hockey's most coveted individual honour, the Ted Lindsay Award, which is presented annually to the “most outstanding player” in the NHL as voted by the members of the NHLPA. As for what part of Perry's game is the most eye-catching, Fowler, who recorded 40 points in 76 games in his first NHL season, admits he can point to any number of things. “I think what stands out for me is his consistency,” said Fowler, of the 25-year-old right winger. “He's been great the whole season. So, just how good was Perry's 2010-11 campaign? The Ontario native led the league with 50 goals, winning the Maurice "Rocket" Richard Trophy. He achieved the feat with a hat trick against the San Jose Sharks on April 6, 2011. Adding 48 assists, he finished the season with 98 points, which ranked third in the league. Perry was also chosen to the play in the 2011 NHL All Star Game, where he won the Shootout Elimination Challenge in the Skills Competition. He was also named a Hart Trophy finalist along with Daniel Sedin and Martin St. Louis, an award that honours the MVP of the regular season. For all of the accolades and recognition Perry's received, Fowler is even more impressed with his teammate's winning attitude. “He's someone who works hard all of the time, no matter what the circumstances,” praised Fowler. “It's not just that he can he score any way – standing in front of the net getting worked over or scoring those highlight-reel ones that we've all seen so many times. The two have become good friends away from the rink, something Fowler is equally grateful for. Fowler also considers Perry one of the best in the business. Obviously, it's an ideal method, one that has put Perry on the final ballot for the coveted Ted Lindsay Award.